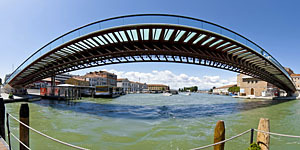 Some panoramic views in order to get a virtual tour about the theme requested. 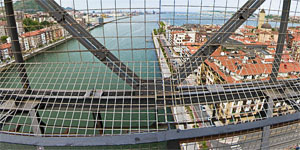 : puentes. 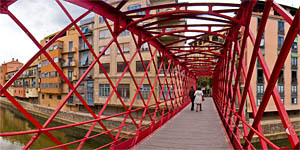 A beautiful view of river Onyar' houses from 'Puente del Hierro'. 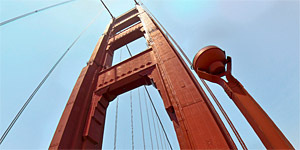 Next to Brooklyn bridge, perhaps the two most famous and photographed bridges in the world. 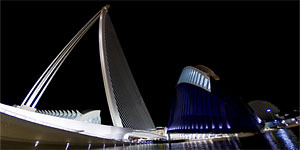 The Agora is the latest project of the architect and engineer Santiago Calatrava included in the dense complex of the City of Arts and Sciences in Valencia. 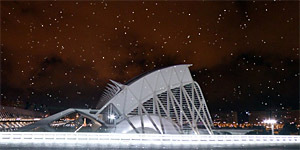 This bridge is the next to last building in the Santiago Calatrava golden mile at Valencia.